Beaches in Oregon are publicly owned from the water to sixteen vertical feet above the low tide mark. To maximize tide pool exploration, reference local tidal charts and start several hours before low tide is at its peak. After low tide is reached, the water immediately starts its return journey back. Feel free to poke around the water&apos;s edge to observe marine life - just be mindful of treading carefully to protect living organisms and be aware of the ocean at all times. Sneaker waves can come farther up and further in than expected. Observe all posted notices and stay back from cliffs and rough shore break. Stay with your children and encourage them to be respectful of the fragile marine life. After tidepooling, have them draw what they observed (just like a marine biologist!) and look up the organisms online. Some of the best places to explore tide pools include the Cape Perpetua Scenic Area (Cape Cod Trail, Captain Cook Trail, Restless Water Trail and Saint Perpetua Trail) and Heceta Head Lighthouse Trail #1370. 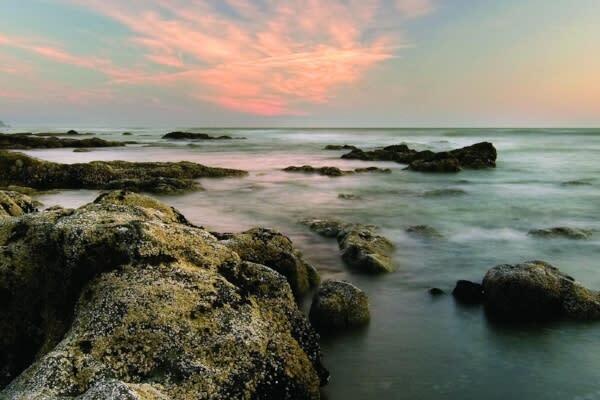 Neptune State Scenic Viewpoint offers three easy to access tide pools at Neptune, Strawberry Hill and Bob Creek. Look for sea anemones, sea squirts, sea stars, urchins, crabs, barnacles, mussels, snails, limpets, chitons, sponges, octopus and fish. You may also see rockweed, sea lettuce, sea palm, kelp, gulls, oystercatchers, shorebirds and harbor seals. Beachcombers can follow the same tidal guidelines. 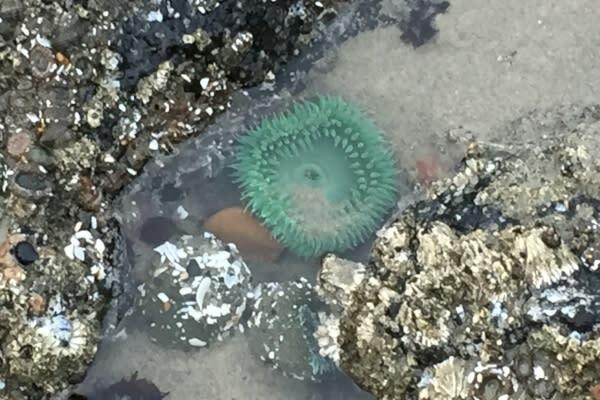 But in the tide pools, this isn&apos;t beachcombing so please don&apos;t collect what you see - alive or dead! So much life is growing on every surface. Rocks and shells may be homes or protection for other living things, attached or hiding underneath. Step only where there is bare rock or sand to avoid crushing delicate organisms. If you pry something from its rock, it will die, so only touch or poke gently without moving it. 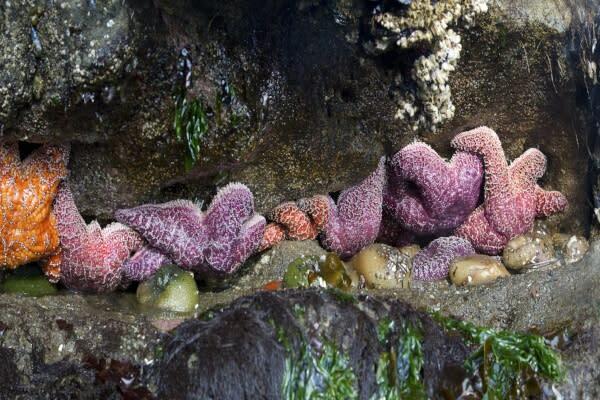 Learn more about the best way to explore tide pools.